Android turns 10. Ten years ago this week, Larry Page and Sergey Brin rollerbladed into a press conference where T-Mobile, HTC, and Google announced the world’s first Android phone. However, before the G1, codenamed Dreamer, there was another reference device that Google used to develop the operating system: Sooner. 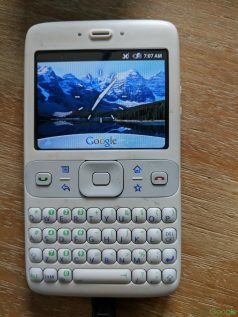 Lacking a touchscreen, Sooner was based on an existing device, the HTC EXCA 300, according to Steven Troughton-Smith. Its 320×240 LCD is powered by a TI OMAP850 processor with 64MB of RAM. On its premiere, Android was particularly rough around the edges. By default, it couldn’t play video outside of YouTube. Android Market, the precursor to Google Play, had just a handful of apps. There wasn’t even a virtual keyboard. 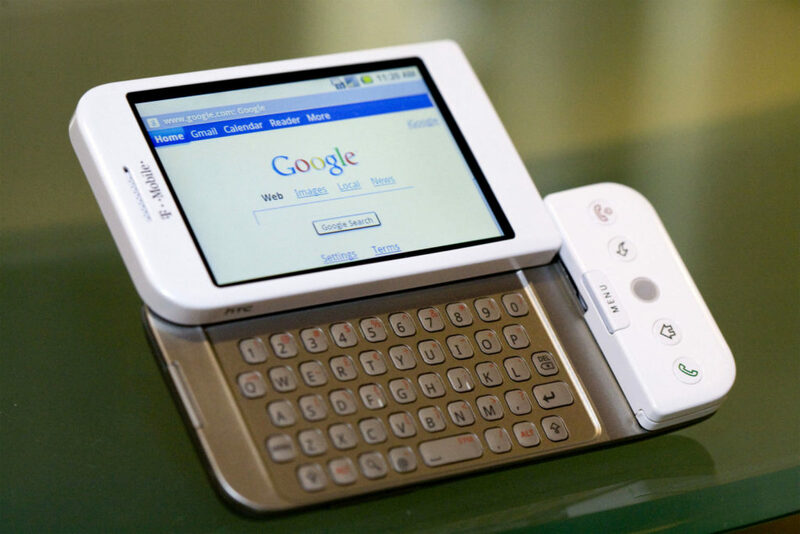 Dreamer, what became the G1, was considered the “risky/long-term device” and was ultimately what Android launched on. Android 1.0 was officially unveiled on September 23, 2008. Over the past decade, Android has grown by leaps and bounds, with a new upgrade every year. The current version is 9.0 Pie, which was released in August 2018. A decade later, the landscape has significantly changed with the smartphone dominant and democratized. Today, the OS takes a whopping 88% of the market share while Apple holding 11.9% of the pie. Evidently, the open nature of the OS and the wide availability of low-end to top-tier devices won over many fans’ hearts over the years shaping up Android as we know it. As of 2017, more than 2 billion devices across the globe run on Android. And from Android Market, which had a handful of apps, Google Play today has millions of apps spanning across categories. Android now works on platforms beyond just smartphones. Google has developed the OS for televisions, for smartwatches, smart home devices, VR Headsets and has even developed Android Auto for cars. As per reports, some variants of Android OS is also in game consoles and Digital Cameras and PCs and other Electronics.